Video games are a multi-billion dollar industry, providing us with some of the most famous characters in pop-culture and have been a part of our childhoods since the 1970s. Adam Sandler's latest comedy Pixels takes the premise of aliens invading Earth and flips it with real life versions of computer game characters like Pac-man, Donkey Kong and the Space Invaders, even though Futurama used the same story in the episode "Anthology of Interest II". Though video game adaptations have been at best a mixed bag, there are movies like Pixels that have used video games as an influence, either thematic, visually or story-wise. To celebrate the release of the new action-comedy we will look at some of the best video-game influenced movies. 5. Crank Nick de Semlyen of Empire magazine described Crank as "an action flick that sticks so determinedly to its blazing guns, coming off like a bravura adaptation of a video-game which has yet to be made". Crank is literally an adrenaline driven action movie which sees its protagonist Chev Chelios (Jason Statham) needing to keep his heart rate up by fighting (including with himself in an elevator), driving like a cocaine fuelled monkey and publically shagging his girlfriend, despite her initial objections. Crank was the directional debut by the duo Neveldine/Taylor and the pair were included by video games, particularly the Grand Theft Auto series due to the constant mayhem and carnage on screen, visual quirks and its introduction using arcade game imaginary. Crank received a sequel in 2009, Crank: High Voltage and Neveldine/Taylor continued to satirize video games with Gamer, locking in on First Person Shooters, gaming violence, online gaming and sexual depravity in Second Life. 4. 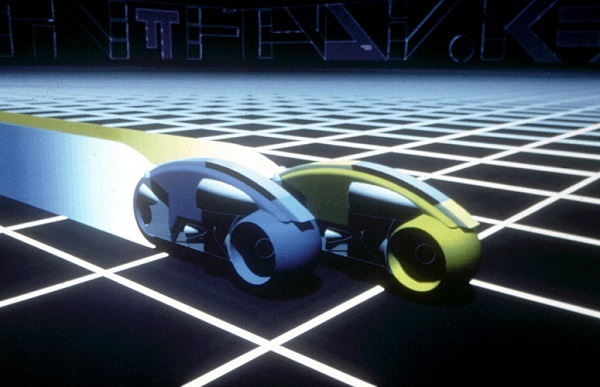 Tron 1982 was a great year for movies, with the likes of E.T. The Extra-Terrestrial, Blade Runner, Conan the Barbarian and Star Trek: The Wrath of Khan being released. A part of this fantastic collection of releases was Disney's Tron, a movie that underperformed at the box-office but has since become a cult classic. It was one of Disney's rare ventures into the sci-fi genre and its writer/director Steven Lisberger was influenced by video games. Made as an industrial espionage story Tron sees software engineer, hacker and arcade owner Kevin Flynn (Jeff Bridges) getting transported into the neon-lite world of The Grid. Overtaken by a computer program known as Master Control, programs are forced to fight to the death in gladiatorial contests, including the famous light-bike scene. Tron earned a sequel in 2010, Tron: Legacy and Tron was followed by the Matthew Broderick movie WarGames. in 1983 3. Edge of Tomorrow Last year's Edge of Tomorrow was a surprise crowd pleaser that its own marketing campaign was trying to sabotage, giving it alternative names like "All You Need is Kill" and "Live. Die. Repeat". Based on a Japanese Sci-fi novel by Hiroshi Sakurazaka Edge of Tomorrow sees Europe being invaded by an alien race known as Mimics and a multi-national military having to go to war to defeat them. The Mimics themselves have the ability to control time. But one soldier, William Cage (Tom Cruise) gets exposed to blood of an alpha Mimic and every time he dies he awakes back before the invasion. The time loop mechanic plays out like a video game because Cage with his only ally, Sgt. Rita Vrataski have to relive the same events over and over and have to remember every hazard so they can go onto the next level and defeat the Mimics. 2. Scott Pilgrim vs. the World Based on a series of comic books by Bryan Lee O'Malley the movie adaptation of Scott Pilgrim vs. the World has become a cult hit due to its comedy, action and visual style. Director Edgar Wright embraced the video game visuals for the movie throughout the film. The Universal Logo and Theme was given an 8-bit makeover and the movie progress from there. Fights begin like Street Fighter bouts, characters have super-moves, can pull weapons out of thin air, defeated foes are turned into a coins and the film was filled with visual quirks likes life bars and character info. 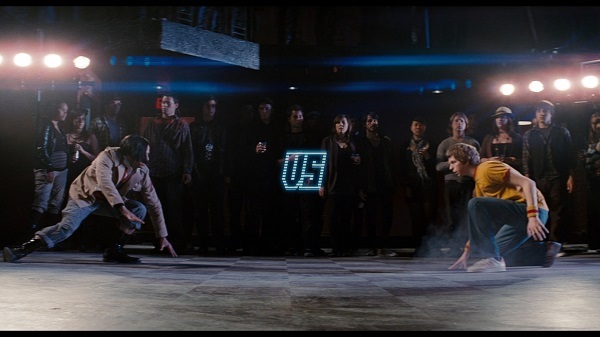 Scott Pilgrim vs. the World is a movie that revels in its use of arcade culture, whether it was in its action, colorfulness or a discussion that the original name for Pacman was Puckman. 1. Wreck-it Ralph Disney's Wreck-it Ralph is considered to be the video game version of Toy Story, an animated movie looking at the lives of computer games in an arcade. Many of the great and good of gaming making an appearance in the movie, including Sonic the Hedgehog, M. Bison and Q*Bert and others like Mario being referenced. Wreck-it Ralph himself is the villain in the game named after him, a Donkey Kong style game where he destroys an apartment building and the hero Fix-it Felix has to repair the damage the hulking man causes. Victorious gamers are rewarded with Ralph getting thrown off the building and Ralph has to live in the rumble he creates. When Ralph seeks to become a hero in another game and win a medal he ends up in games resembling shooters like Halo and Gears of War and the colorful world of Mario Kart.